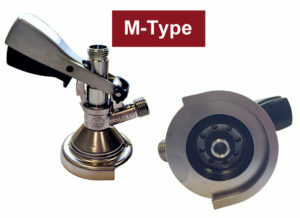 Micro Matic have developed a new KeyKeg dispense coupler for the KeyKeg range. The new coupler claims to be safer, quicker and more convenient to use. One of the main new features is the ability to dispense with pressure up to 4.1 bar instead of 3.5 bar. 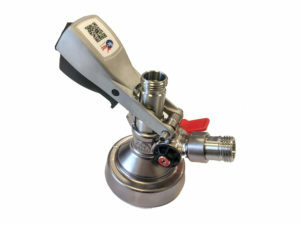 This entry was posted in Beer Dispense and tagged keykeg, keykeg coupler, micro matic keykeg, micromatic keykeg coupler on 17th April 2018 by Kelly Laws. 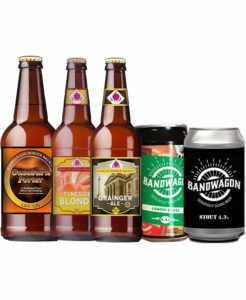 We have handpicked a fantastic range of North East beers from the very best North East breweries. Pick three to try from our range for only £10.00. 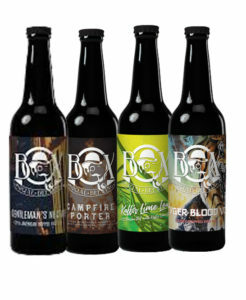 An award winning brewery offering over twenty different beers. Citra Star 4.1%abv - A hoppy blonde loaded with grapefruit, lemon and lime flavours. Light bodied, highly hopped with a bitter finish. Knuckle Dragger 8.3% abv - A combination of bitterness and sweetness featuring big tropical fruits and resinous hops. 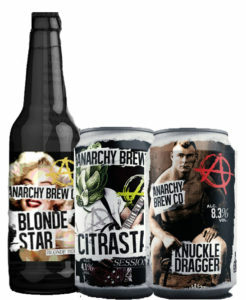 Blonde Star 4.1% abv - A crisp and fresh beer full of lemon, grapefruit, passion fruit and pale malt. Anarchy's biggest seller. A 6 UK Barrel Micro Brewery with a tasting room aiming to create great Artisan craft beers. Campfire Porter 7.0% abv - Dark sweet porter with Lactose, Toasted Marshmallow, Pumphreys Coffee, Vanilla and Cocoa. Tyger Blood Red Session IPA 5.5% abv - Deep malty red IPA dry hopped with Falconers Flight for a tropical fruit finish. Producing true cask conditioned beers from the finest ingredients. Sea Dog 6.0 abv - A double dry hopped American IPA bottle conditioned - a live sediment continues to mature and develop the flavour and character. 3p per pint is donated to the RNLI Lifeboats. Bandwagon Dunkelweizen 4.4% abv - A brown ale utilising chocolate malt with hints of chocolate and notes of banana. Bandwagon Lemon Grass 4.4% abv - A robust amber beer with a satisfying citrus finish. Bandwagon Stout 4.3% abv - Robust and smooth with light hints of roast coffee and a touch of rye crystal spice. Grainger Ale 4.6% abv - Gluten free, brewed using a single malt and hopped with a selection of three varieties giving a well-balanced finish. Ouseburn Porter 5.2% abv - A satisfying porter using the best quality ingredients to produce a smooth, rich and dark creamy drink. One of the most successful craft breweries of the last 20 years with a history of national beer awards. Allelic Drift 5.0abv - Pale golden ale featuring floral pine and citrus with a clean bitterness. IPA 5.1% abv - Featuring grapefruit and orange hop notes over a malt backbone. Northumbrian Blonde 4.0% abv - Fresh and zesty blonde ale with a hoppy lemon grapefruit aroma. Pandarillo Session PA 4.2% abv - Session pale featuring Amarillo and citra hops. Radgie Gadgie 4.8% abv - Premium strength balancing leafy hops, berry fruit and malt. Workie Ticket 4.5% abv - Complex with malt and hops. Champion Best Bitter award 2013. Mocha Milk Stout 6.0% abv - Dark and sweet with chocolate, coffee and vanilla notes. Brewed with Daterra Bruzzi, a Brazillian coffee bean, roasted by Pumphreys of Newcastle. Monument Bitter 4.1% abv - A copper coloured bitter with hints of caramel and notes of berry fruits. Rhubarb & Custard 4.4% abv - A hazy oatmeal pale brewed with fresh Yorkshire Rhubarb. Silver Dollar 4.9% abv - Award winning American Pale Ale, a glowing amber colour, robust malt base and west coast American hops. Strawberries & Cream 3.8% abv - Refreshingly fruity, brewed with finest English strawberries. DH Table Beer 3.5% abv - Zingy, dry beer with wheat, outs and Munich malt. Macchiato 6.5% abv - Hazelnut praline coffee porter providing smoothness for a cold brew hazelnut coffee. Remember 430 5.5% abv - Citra and Mosaic swallow up the hordes into fresh pink grapefruit, tropical juiced out foreverness. Splatterberry 4.5% abv - Berry fruit kettle sour inoculated with Greek yoghurt then infused with splattered volumes of fresh raspberries, sour cherry and red currants. Swipe Right SPA 4.7% abv - Smashed juice session pale with oats and wheat with a tropical hop donor of grapefruit, pineapple and kiwi fruit pulp. 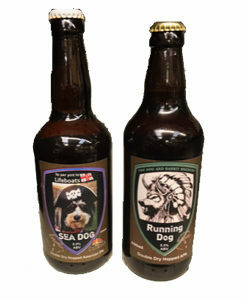 Click here to purchase three from the range of North East craft breweries for only £10.00. 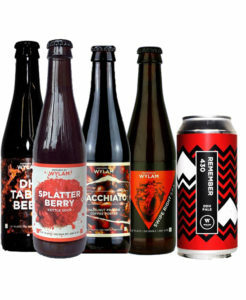 This entry was posted in General News and tagged tryanuary, craft beers north east, 3 for £10 craft beer on 15th January 2018 by Kelly Laws. 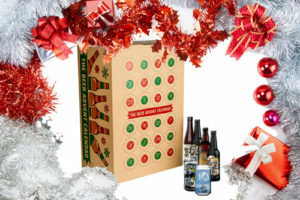 This year we have decided to create our very own craft beer advent calendar featuring 24 fantastic beers from our local brewers here in the North East. 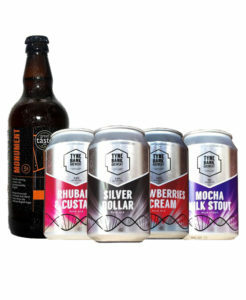 Being a small family business, supporting our local businesses is very important to us and luckily the North East have some fantastic breweries who produce some of the very best craft beers on the market. 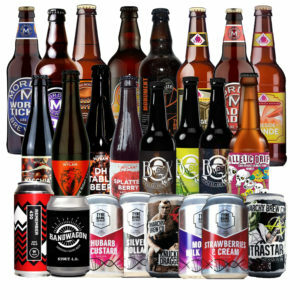 Our selection includes bottles and cans from Anarchy Brew Co, Mordue, Wylam, Tyne Bank, Box Social and Hadrian Border Brewery. Amongst them we have a range of stouts, blondes, bitters, brown ales and many more. We have a limited availability, so why not grab yours and enjoy tasting some of the amazing craft beers the North East has to offer. BUY NOW. This entry was posted in General News on 3rd November 2017 by Kelly Laws. Erdinger is bringing their traditional German Oktoberfest to London this month, running from 5th October until 22nd October at London's Greenwich Peninsula. More than 250,000 pints of beer is expected to be consumed over the two and a half week run with up to 5,000 revellers at a time attending to enjoy food, drink and live entertainment. An open-plan wooden beer hall is currently being assembled and will be decorated with floral garlands and feature a stage to host traditional bands from Munich as well as DJs. Bavarian waitresses will also be on hand to serve customers carrying up to 10 steins of beer at a time. We've built the Erdinger fonts and packed up all the draught beer dispense equipment and sent on it's way to London ready to be set up for the opening night on Thursday! This entry was posted in Beer Dispense, Laws Dispense Services and tagged Erdinger, Oktoberfest, Laws Dispense Services, Draught Beer Dispense, German Oktoberfest on 4th October 2017 by Kelly Laws. 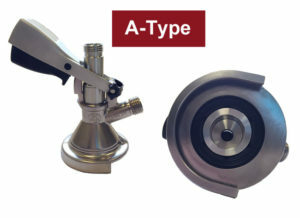 Which type of keg coupler do I need? 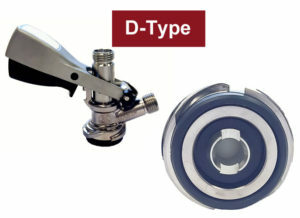 There are 5 different types of keg connectors / tap valves available and we have them all in stock. The coupler controls the release of the beer from a keg by attaching to the valve and CO2 line. 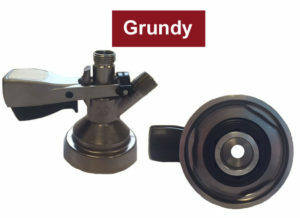 The type of coupler you need will depend on the product you wish to dispense. Commonly used for draught beer products such as Carlsberg, Fosters, Strongbow, Woodpecker, Marstons, Amstel, John Smiths, Moretti, Brooklyn, Beavertown, Wylam and Anarchy. Commonly used for draught beer products including Flying Dog, Redchurch and Hitachino. 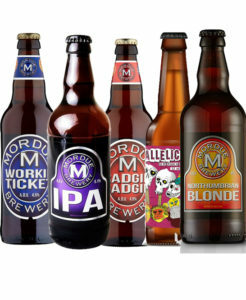 Commonly used for products including Guinness, Pimms, Hoegaarden, Camden, West, Timmermans and Fruli. Commonly used for draught beer such as Veltins and Schneiderweisse. Commonly used for draught beer products including Budweiser, Thatchers Gold, Becks Vier, Worthington Creamflow, Fullers, Grolsch, Carling, Coors and Brewdog. Commonly used for draught beer products including Anchor Steam, Anchor Porter, Anchor Liberty, Goose Island, Founders, Fordham and Dominion. 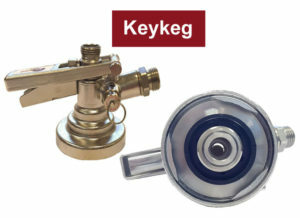 If you are unsure what type of keg coupler you need, please email us and we can advise accordingly. 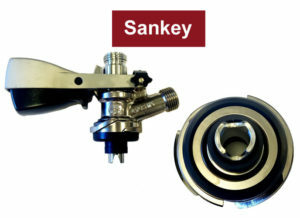 This entry was posted in Beer Dispense and tagged beer tap valves, keg couplers, keg connectos, barrel connectors, beer keg couplers, keykeg, dispense heads, sankey coupler, keykeg coupler, M System coupler, A System coupler, American Sankey coupler, D system coupler, Grundy coupler on 23rd January 2017 by Kelly Laws. YEY! Our new website is finally here. After 3 years of "we'll get round to that one day", that "one day" has finally arrived! Please take a look around, we'll be adding items and packages quite frequently so be sure to add us to your favourites or sign up to our newsletter. In the meantime, if you can't find what your looking for, drop us a quick email as chances are we have it in our stock, we just haven't added it to the website yet! This entry was posted in General News on 5th August 2016 by design365.